Campaign to tackle online shopping fraud - Team Discovery Ltd. The Metropolitan Police Service is launching a new campaign to raise awareness of online shopping fraud, a crime costing Londoners more than £8 million a year. A series of digital banner advertisements are being run online, including on some of the biggest online auction sites, which prompt shoppers to think carefully before rushing to make any bank transfers outside of the safeguards of the official websites. It is the first time the Met has run a campaign targeting shoppers online and it is being launched in response to a recent increase in online shopping fraud, which accounts for about 25 per cent of all reports of fraud in London. In the last financial year, there were 6,879 reports of online shopping fraud in London, an increase of 946 – or 14 per cent – on the previous year. The average loss to each victim is about £1,200, lower than other types of fraud. But the total loss to victims in London from online shopping fraud was £8.3 million in the last financial year. 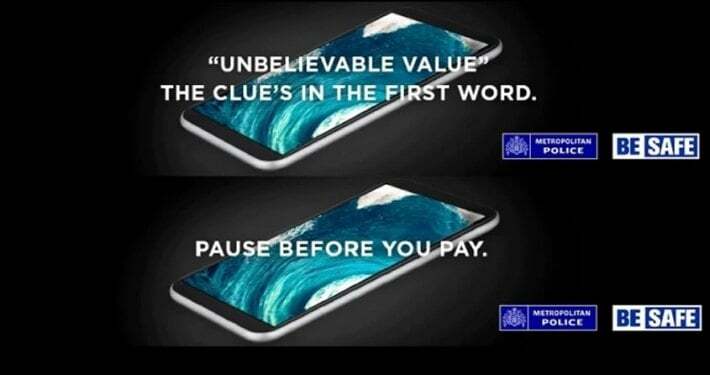 The Met’s campaign aims to educate shoppers about some of the warning signs of online scammers and the messages are targeted to people who have recently searched for items, such as mobile phones and cars, which are commonly used by fraudulent sellers. Figures from June 2017 show mobile phones were the item offered for sale in 23 per cent of online fraud reports in London, resulting in a financial loss to victims of £21,327. In the same month, Londoners lost almost £131,000 after being tricked into paying for vehicles offered for sale by fraudsters. The online advertising campaign will run until the end of September and will then be reviewed ahead of a second phase, which will run in the lead up to Christmas. 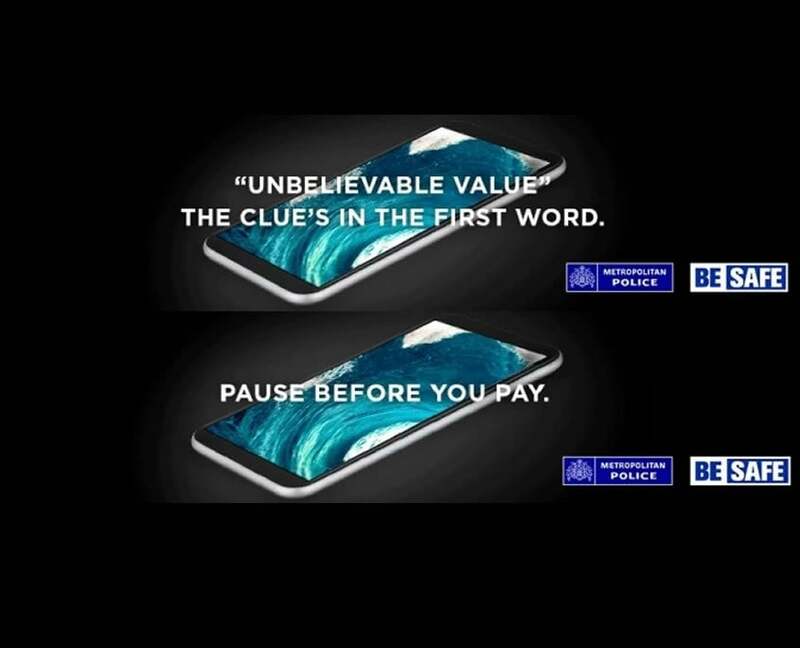 Detective Chief Inspector Gary Miles, of the Met’s Operation Fraud and Linked Crime Online (Falcon), said:“The purpose of this campaign is to educate online buyers about how to safely use the internet to shop. The most important piece of advice is not to be pressured into making a quick bank transfer for a special deal. It can always be tempting to pay a bargain price for items such as mobile phones or cars, but, you may end up paying money for a product that does not even exist. “While the monetary value of many online shopping frauds may be relatively low, some of them can be thousands of pounds. This can be devastating for victims.